This is the one! 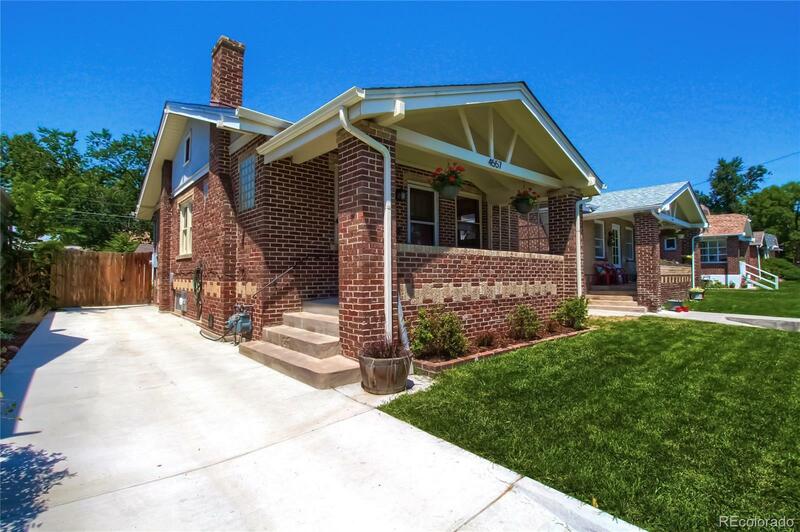 Updated Charming Brick Sunnyside Bungalow. The custom-designed kitchen combines classic, original charm with subtle touches of a farmhouse-industrial style featuring a farmhouse sink, matte granite countertops, and brushed bronze hardware that pairs with the sputnik chandelier. Subway tile backsplash. Glass faced cabinets. Gas stove with hood. Lighting under the cabinets. Ample countertop space and electrical outlets for functionality that are rare in older homes. Coved ceilings. Arched doorways. Original doors and hardware. Basement boasts a large media room that could be converted into a bedroom. All appliances included. Take in the best of summer from the front porch with east views enhanced by the elevated lot. New driveway. New exterior paint. New roof. Walk to El Jefe (Taco Tuesdays! ), Bacon Social House, Ernieâs and the boutiques at Cobblerâs Corner. This home is truly ready to move in. Central location lets you bike downtown or get to the mountains quickly.